Dame Vivienne Westwood just arrived AT David Cameron’s House In A TANK!! 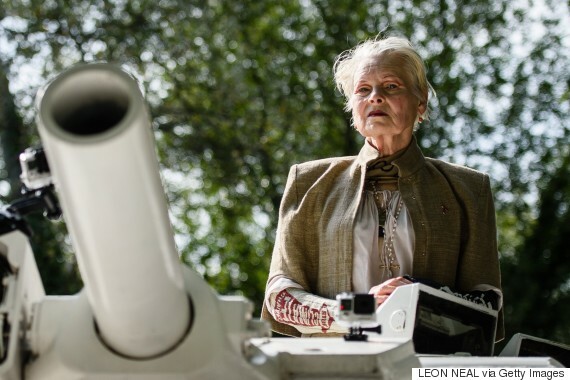 Fashion designer Dame Vivienne Westwood has driven a tank to David Cameron’s house in a protest against the Prime Minister’s plans to drill for shale gas. The protest is taking place outside Cameron’s Witney constituency home in Oxfordshire, over concerns that chemicals used during the fracking could harm the environment. ← My life in 10 seconds…..